JOHN WICK : Legendary assassin John Wick (Keanu Reeves) retired from his violent career after marrying the love of his life. Her sudden death leaves John in deep mourning. When sadistic mobster Iosef Tarasov (Alfie Allen) and his thugs steal John's prized car and kill the puppy that was a last gift from his wife, John unleashes the remorseless killing machine within and seeks vengeance. Meanwhile, Iosef's father (Michael Nyqvist) -- John's former colleague -- puts a huge bounty on John's head. 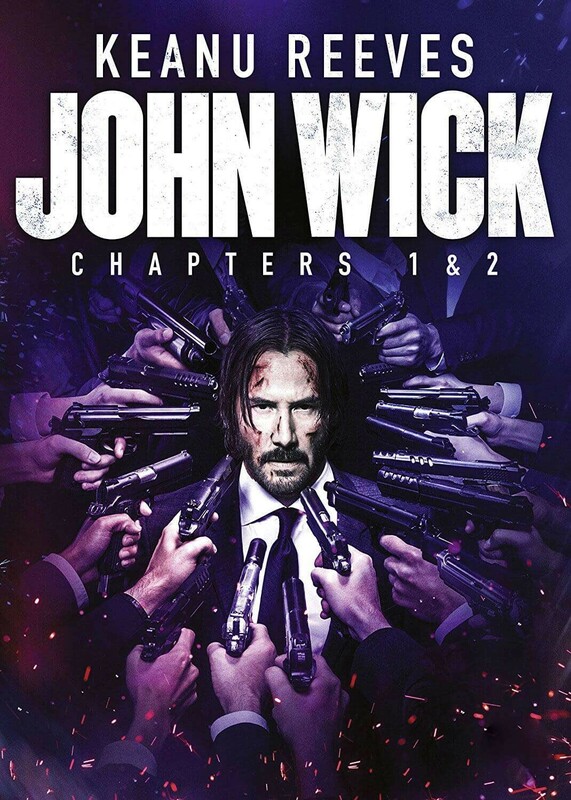 JOHN WICK: CHAPTER 2 : Retired super-assassin John Wick's plans to resume a quiet civilian life are cut short when Italian gangster Santino D'Antonio shows up on his doorstep with a gold marker, compelling him to repay past favors. Ordered by Winston, kingpin of secret assassin society The Continental, to respect the organization's ancient code, Wick reluctantly accepts the assignment to travel to Rome to take out D'Antonio's sister, the ruthless capo atop the Italian Camorra crime syndicate.